This year, I decided to use memes in the freshmen orientation for two reasons: 1. kids can relate to these (since they use and make them all the time themselves) and 2. let students know the library is more than rules, guidelines, and shushing. It can be fun, imaginative, creative, and inviting. I did a test drive with our new teachers for new teacher orientation, and although it was unexpected, they thoroughly enjoyed it! :) Basically, it's all about relationships, and this is a fun way to do it. Most of the memes I created myself using imgflip.com SUPER easy!! Used a great new tool (www.kizoa.com) and LOVE IT! Free to use, but also inexpensive for a lifetime purchase. App Review: Making Book Trailers the Easy Way with this Amazing Trinity! In this new BYOD world we live in, creating videos has never been easier. You don't have to lug around a laptop anymore...you can create stunning videos straight from your iPhone or iPad. Two newer apps that have come on the scene and made things a LOT easier are both from Adobe and are amazing! I'm not saying this flippantly..I love these two apps! Admittedly, book trailers take time, but with these apps and an iPad students can start easily using their camera roll or online sources. I'll break down both apps as well as give hints on making using these easier. - add music Adobe provides or use music from your iPad. 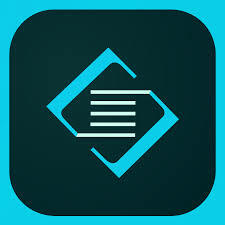 And now to play with Adobe Slate, the newest app that helps make reports, newletters and other text-based documents beautiful by adding photos into them. Kelpie has been on her own for most of her life. She has vague memories of her childhood, but the street life in Razorhust is her home. She's been fortunate, getting help from people in the city...whether dead or alive. Kelpie lives on the streets of Razorhurst, a part of Sydney divided between two gangsters, their henchmen, and a beautiful moll. And it's when Kelpie steals into a home she shouldn't have that her world completely changes. Looking at the murder scene was rough enough, but now the ghost of is following her. What's more, Kelpie is being used as cover by Dymphna, who thought she was smart enough to leave gang life, or at least take over. With the law prohibiting guns in Australia in the 1930s, everyone thought gang violence would wane, but razors came out, just as deadly. They're now both on the lam. Mr. Davidson, one gang leader, is stalking Dymphna, where his stalking has very serious undertones. Gloriana is also searching for her, for reasons she doesn't have to explain. And friends of Kelpie's are also following her, trying to make sure both she and Dymphna stay alive. But is that possible in a cat and mouse game of the 1930s, where lawlessness abounds and innocent lives are considered a small loss in the pursuit of glory, power and control? 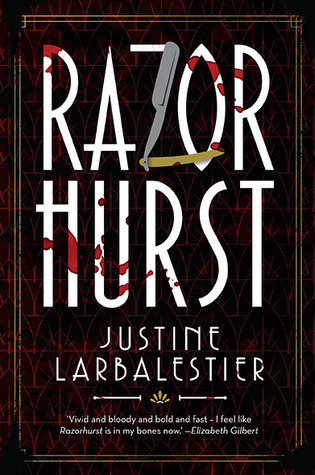 What makes this book such a standout is how Justine Larbelestier creates a dual-genred novel (both supernatural and historical fiction) that wraps itself around real history and biographies of Australia and Australians in this book. Readers will not only get caught up in the storyline but also begin to make connections and differences between both the U.S. and Australia and how gangsters shaped the country. Although this book is filled with male characters, both good and bad, it's the two females that create the strength in this novel. 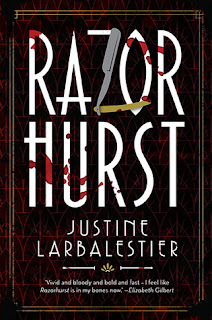 Larbelestier uses the ghostly characters as a backdrop to further strength Kelpie's and Dymphna's character flaws and attraction. I thoroughly enjoyed this one and consider it a strong historical fiction novel for YA. Sir Conan Doyle, English author, became entrenched and entranced with Spiritualism when we lost his son to the war. Through mediums, he was able to talk to his son beyond the grave through a seance. 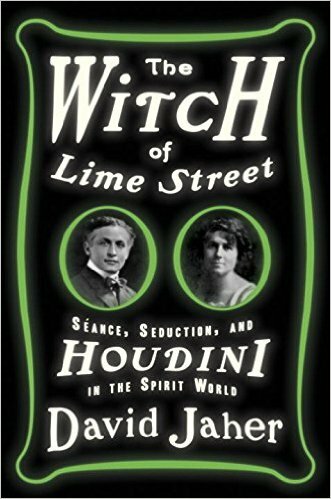 This became a passion that Doyle brought to the United States, which created a furor and controversy and the validity of mediums and their powers. While speaking to throngs of people in auditoriums, Doyle was able to convince many that communication with the dead was a different kind of science. What you may not be able to see doesn't mean it doesn't exist. With that in mind, a very reputable publication as well as scientists and professionals from Harvard, began to investigate mediums to see if they could discern between a true medium and a charlatan. Along with the investigation, a $5000.00 award would be given to a medium who truly had the gift. One of the many professionals on this team was Harry Houdini. Harry Houdini was a master of deception. Having worked his way beyond vaudeville, Harry learned and knew all the tricks of the trade and could easily spot them. One event that bolstered Harry's goal to exposing medium frauds was the death of his beloved mother. 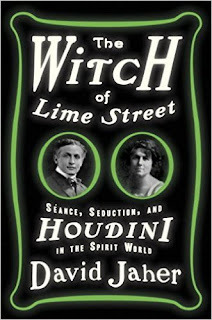 Even Harry wanted to be swayed to believe mediums could connect him to his dear mother, but in the end, he realized there were con artists on every corner waiting to make money from the grief of another. This he couldn't tolerate. With believers on one side, and naysayers on another, a medium entered into the fray claiming she was the true embodiment of a medium. Unlike others, this beautiful woman, Margery, was the wife of a doctor and lived in a wealthy area of New England. She didn't need the money and because of her status, many were disposed to believe her talents and story. Why would a high society lady lie?What could be her motive? And Margery truly had talent...but was it real or not? A war was about to begin between Margery and Harry. Who would ultimately win? Steeped not only in an interesting era of history, the author creates a story centered around two people, with many other characters woven throughout to make this another piece of history not taught in most textbooks (it always seems like the best stories are left out!) Written in narrative format, this book is enjoyable to read, and the images were peculiarly interesting. An excellent additional to any YA non-fiction section, this could most certainly be paired with excellent YA fiction, including Libba Bray's The Diviners books. Recommended.